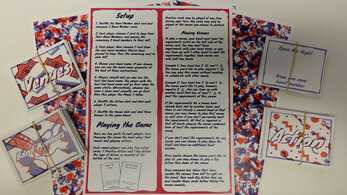 A board game for 3 - 6 players! Draw band members, and battle to be the best band in town. Collaborate to play big venues, hit open mic night to recruit new band members, or play Actions to gain new bonuses and fans.